Welcome to Furniture Rentals, Inc.! 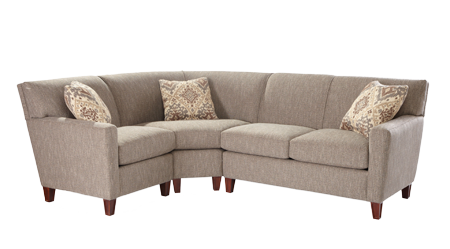 Select and rent premium furnishings, plus housewares, décor, appliances, and electronics. We invite you to explore our online furniture rental store, or visit one of our showroom locations, and rent a comprehensive furniture package to fully-furnish your apartment or home, or rent by the piece according to your preferences. We provide furniture rental services throughout the Southeast and make it easy and fun to have just what you want! Thank you for the great furniture and timely delivery on short notice. I really appreciate working with you. The delivery was flawless and the furniture in my apartment looks great. Thank you for being so easy to work with and the quality product you deliver. Much thanks. We made it to Charleston just fine. The furniture in the apartment is wonderful, I was very pleased. The living room furniture is much nicer that I thought it would be and the bed is comfy. The pictures are great! The whole apartment is so comfortable and looks great. Thank you for getting us set up. Once again many thanks for your assistance. Hi! I just want to thank you for your service and quality furniture. We are very pleased. It was delivered the day after we ordered it, as requested. The sofa and chair are brand new and the rest looks as good as new. Plus, the mattresses are a dream to sleep on! I still can't believe you were able to complete this transaction so quickly and so smoothly. You and your company have an incredible work ethic and focus on the customer's needs. We have worked with Furniture Rentals for over 5 years. They have been instrumental in making an apartment into a place our contractors can call home. They provide exceptional customer service. They are consistently friendly, accommodating, and able to expedite last minute orders. I am grateful for their loyalty and plan to continue building a working relationship with them in the future. I wouldn't hesitate recommending their services to anyone. I just want to say thank you for the great, professional service you have provided. Furniture Rentals is always friendly, prompt, and accommodating to my scheduling needs. FRI is very fast about scheduling pickup requests and exchanges, even when they are last-minute requests. They take care of my clients in a timely manner, including those with pressing needs that arise with no warning.